Vincent van Gogh's masterpieces are to be found throughout the world. But their roots are formly planted in the Dutch province Brabant. This is where he was born and raised. Many of his letters were written in Nuenen and a quarter of all his works date from the period he spent in Nuenen. This includes his first masterpiece The Potato Eaters. This is where his love of the peasant landscape, the countryside and simple way of life began. We begin our cycle tour in the village Nuenen. Nuenen is a treasure chest of locations that Van Gogh recorded on canvas. Some 200 m from your hotel is the the parsongae where he lived and worked, and across the road is the Vincentre. In the formaly Town hall, where Vincent registered as a resident, you can find nowadays a fascinating museum and the starting point for a bike tour. You will without doubt recognise some of the buildings from his famous works. This is the start of a great bike tour through "Van Gogh" country. 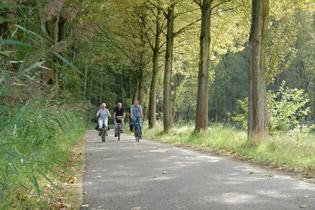 The perfect signposted route will take you to the capital of Brabant 's Hertogenbosch. The most important museum for Brabant art and history is the Noordbrabants Museum. A selection of works by Van Gogh forms the highlight of a fine collection such as Peasant Woman digging (1885) and Water heels of Mill at Gennep (1884). The next day will take you to Tilburg. At age thirteen Vincent van Gogh went to the Willems II secondary School in Tilburg, where he got his first drawing-lessons from the famous art teacher Constant Huijsmans. The Stadsmuseum Tilburg has made a replica of the Huijsmans art room. Follow van Gogh back to his school days and take a seat at one of the desks where he was taught the basics of drawing. You will not cycle all of the 335 km of the Van Gogh cycle route, but you take a shortcut at Alphen. Through the country side you cycle to Hilvarenbeek. The next day brings you via the city of Eindhoven back to Nuenen. 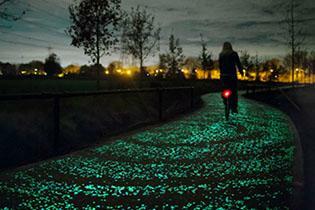 This is one of the options for the Van Gogh Bike Tour, great if you come by car. Other options contain also Amsterdam, with the Van Gogh museum and/or Arnhem with a nice tour to the famous Kröller Müller Museum in the Veluwe National Park.